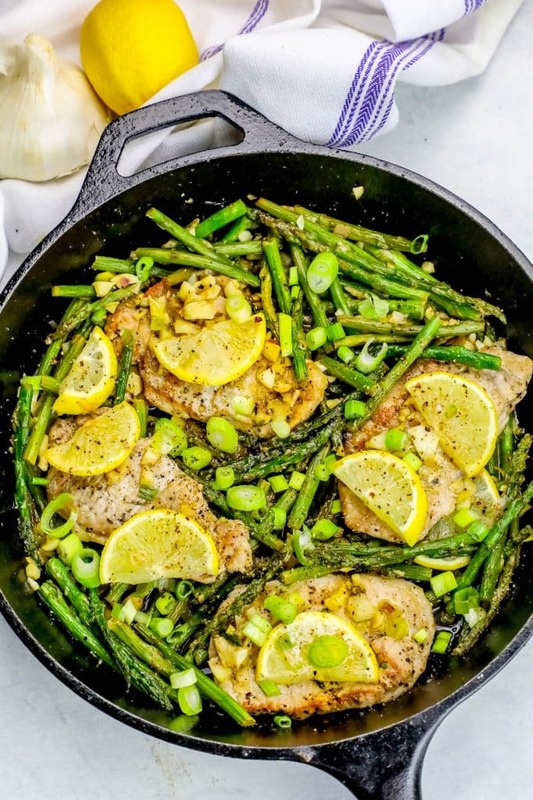 One Pot Lemon Garlic Pork Chops and Asparagus Skillet Meal is a complete meal in just one pot – pork chops with asparagus bursting with lemon garlic flavors for an easy 30 minute family meal! I love Pork Chops and Asparagus. They are such easy, delicious, and healthy foods to cook up on a busy weeknight – and they always taste amazing. 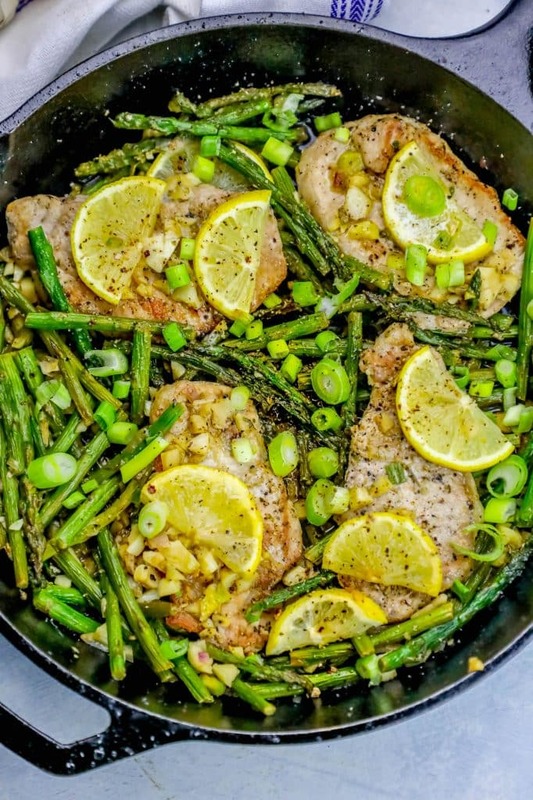 I also can’t get enough of garlic lemon flavored meals – especially with pork chops and asparagus! 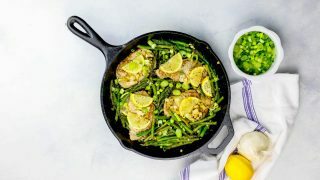 I decided to combine them all for a super easy 30 minute Lemon Garlic Pork Chops and Asparagus skillet dinner – your main dish and vegetable side, in just one pan! One of the reasons I like to make asparagus and pork chops so much is simply because they both taste best when cooked quickly over high heat – the perfect combination for a delicious one pot pork chop and asparagus dinner! 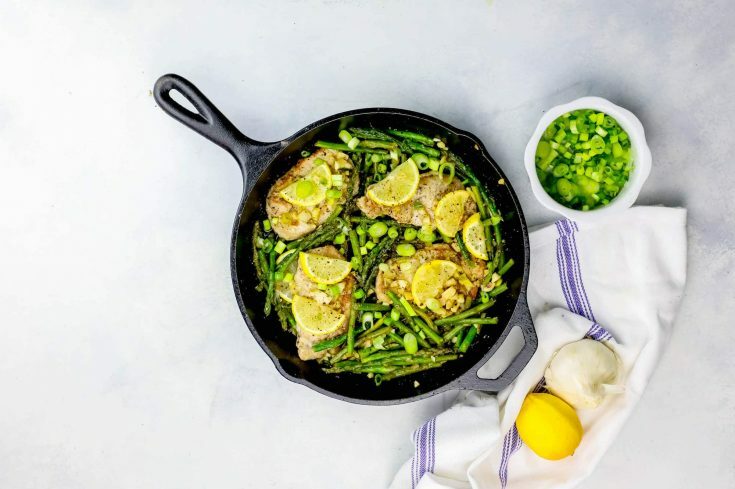 Pork and lemon go so wonderfully together – the lemon brings a bright, tangy sweetness that works perfectly with pork’s buttery rich meat flavor. 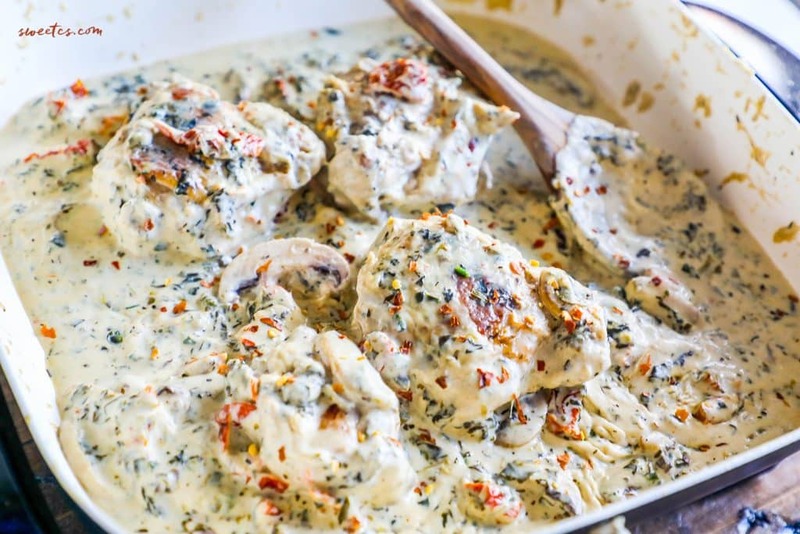 Pork and garlic are also perfect combinations – the garlic adds an earthy flavor that perfectly highlight’s pork’s lighter meat. Pork tastes best when browned quickly and cooked at a higher heat – so a good, heavy pan is a wise choice to cook this dish. The thinner the pork chop, the faster you need to take it out of the pan – pork is so gummy and dry when overcooked – but fabulously rich and tender when done quickly. 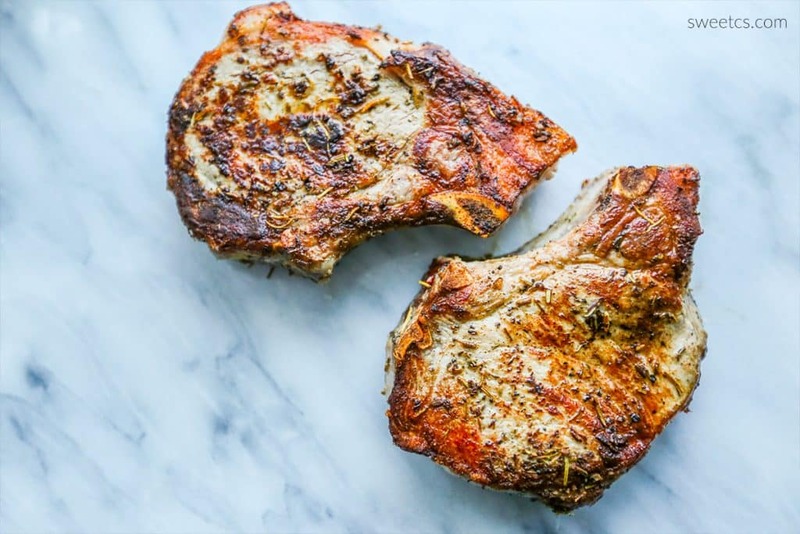 Bone-in pork chops always take longer to cook than boneless – add an extra 2-3 minutes per side if using a bone-in chop. 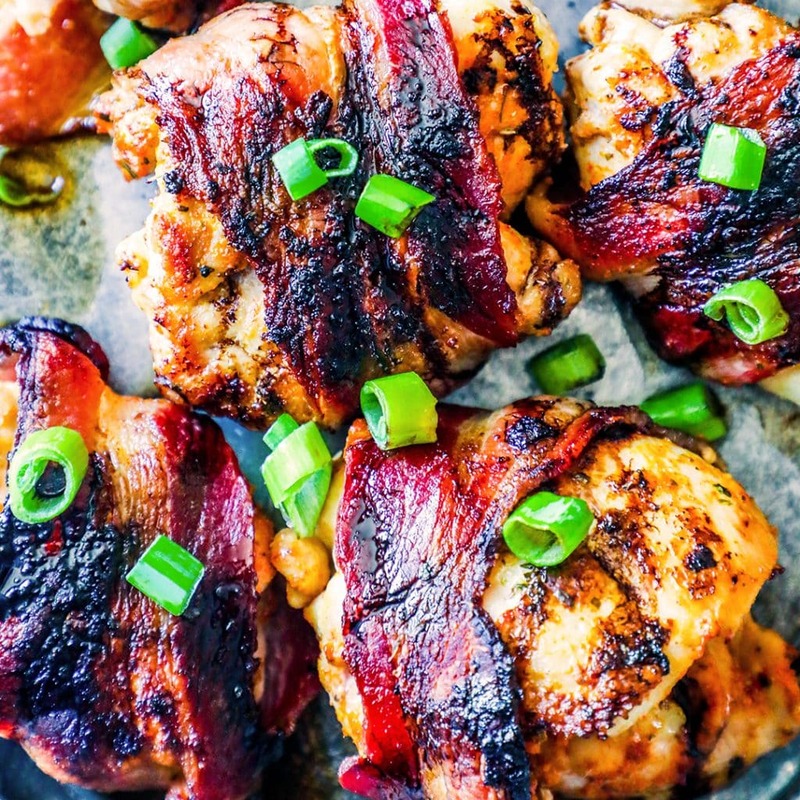 Pork has updated food safety rules – it is now recommended to heat to an internal temperature of 140-145 degrees, so it might still be a hint pink, but still totally safe to eat. 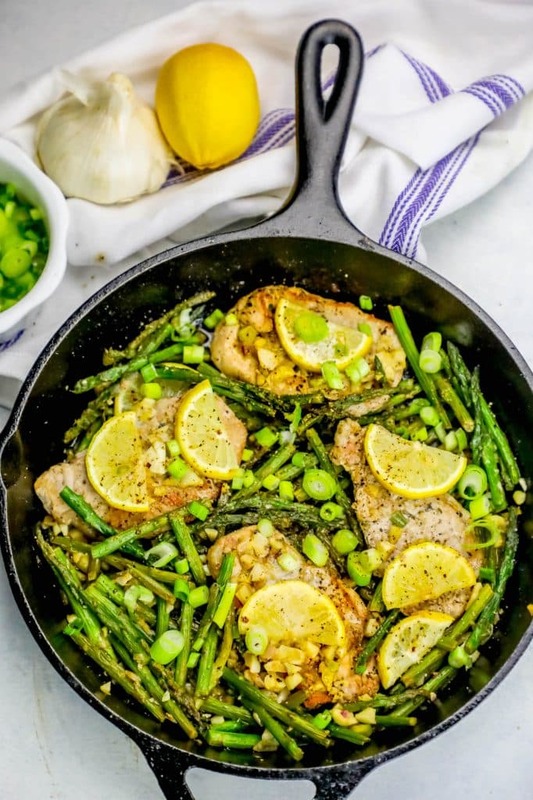 With just a little bit of practice, this one pot pork chop dinner is going to be one of your all time favorite meals for how quick and easy it is! And especially after you taste all of the delicious garlic and lemon pork chop flavor! 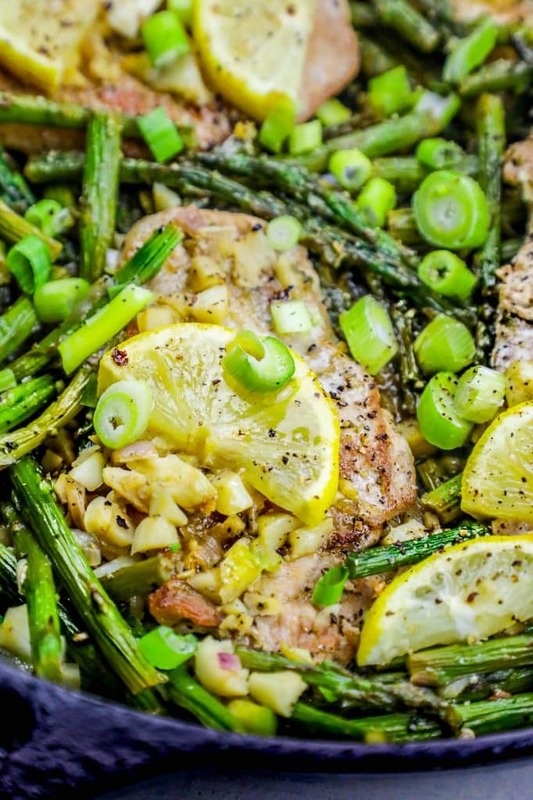 I hope you enjoy this lemon garlic one pot asparagus and pork chop dinner as much as we do! 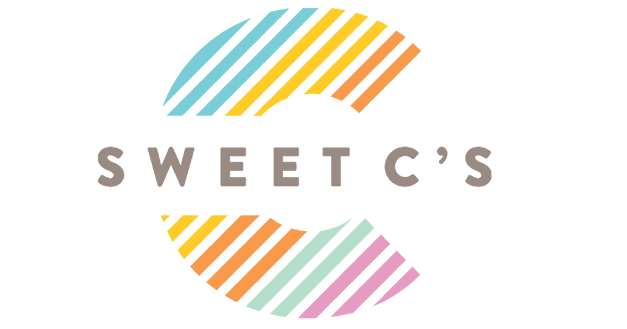 The flavors are subtle and rich, and completely family friendly! 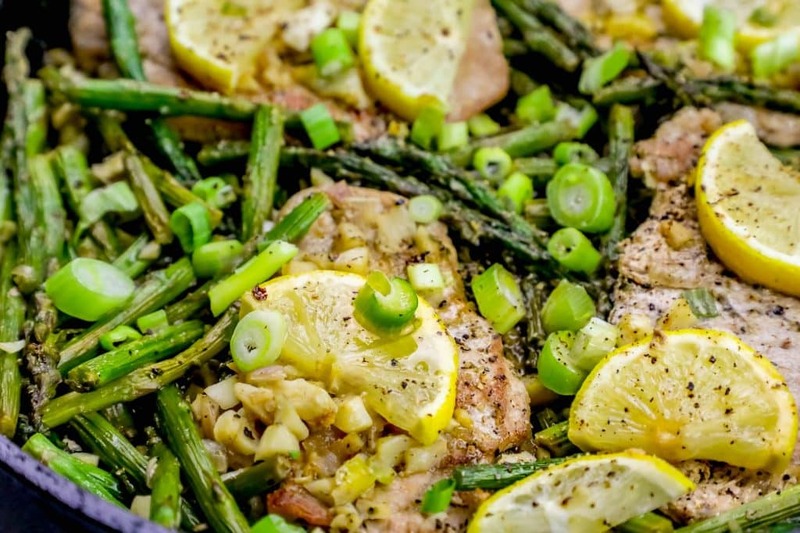 If you love this pork chop dinner, try out some of my other favorite recipes! 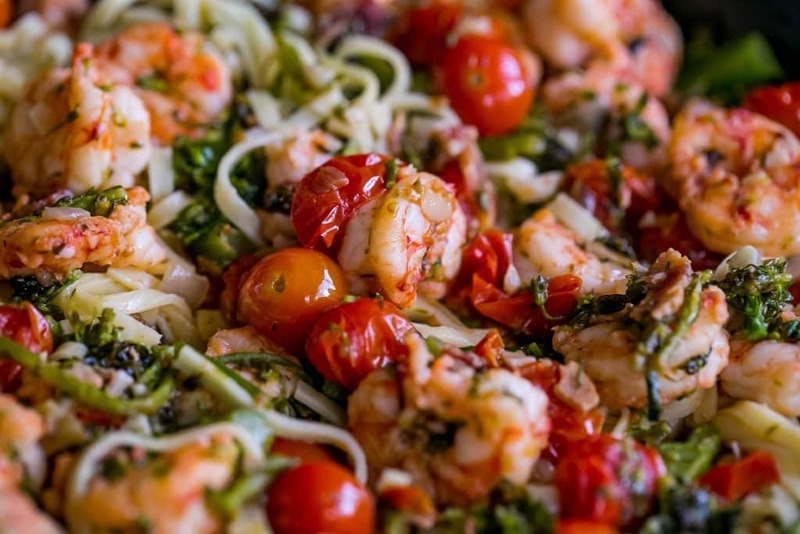 In a heavy skillet or cast iron pan, heat olive oil on medium high, until shimmery. Add pork and brown each side, then remove. Add stock, shallots, and garlic and cook until stock has cooked off and asparagus is soft and slightly browned. Add lemon wedges and garlic, and cook until pork is 145 degrees internal. Serve with rice, a salad, or as-is. Can’t wait to cook this. 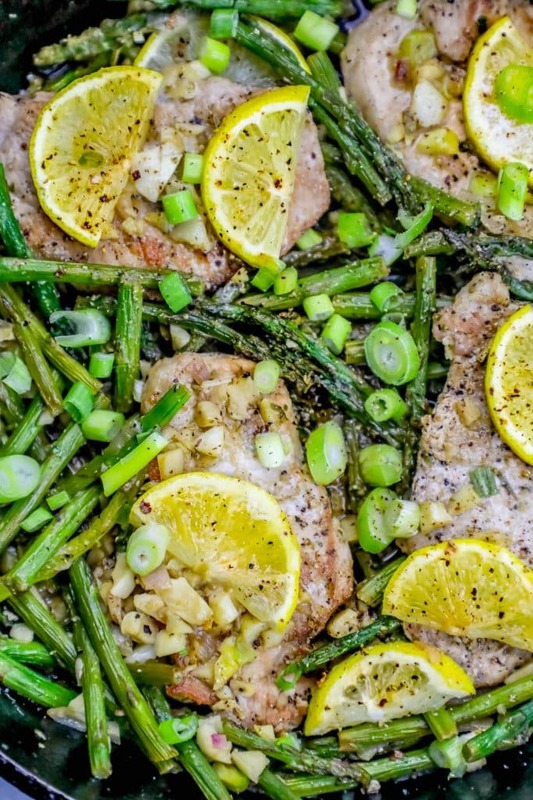 Just wonderful garlic, lemon, crispy, juicy pork chops! I used chops that were about a 1/2″. Asparagus was firm, not limp.